1. A song is never finished. 2. Sometimes you’ll walk onstage to find a surprise 50-foot Lamborghini prop (roll with it). 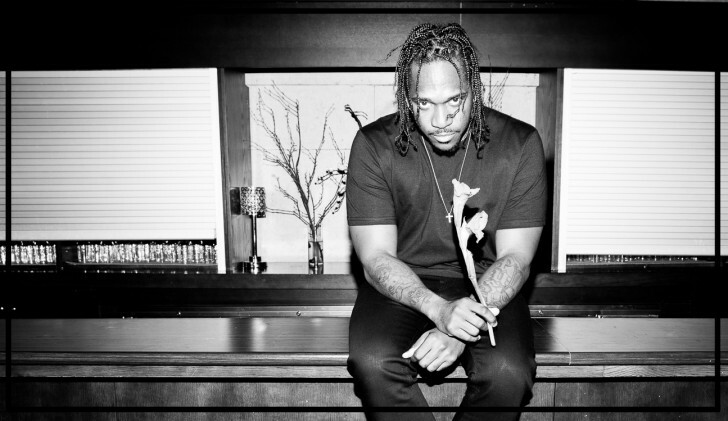 Pusha is fresh off of one of the biggest years of his career, after his Kanye-produced solo debut “My Name is My Name” exploded into one of the biggest hip-hop albums of 2013. It’s been twelve years since the Virginia-Beach native made a name for himself as one half of brother duo Clipse on crack-rap classic “Grindin’” (which, fun fact, became an anthem for friendly neighborhood drug dealers’ birthday parties. Sometimes he had to perform in a bulletproof vest. But that’s a story for another time). 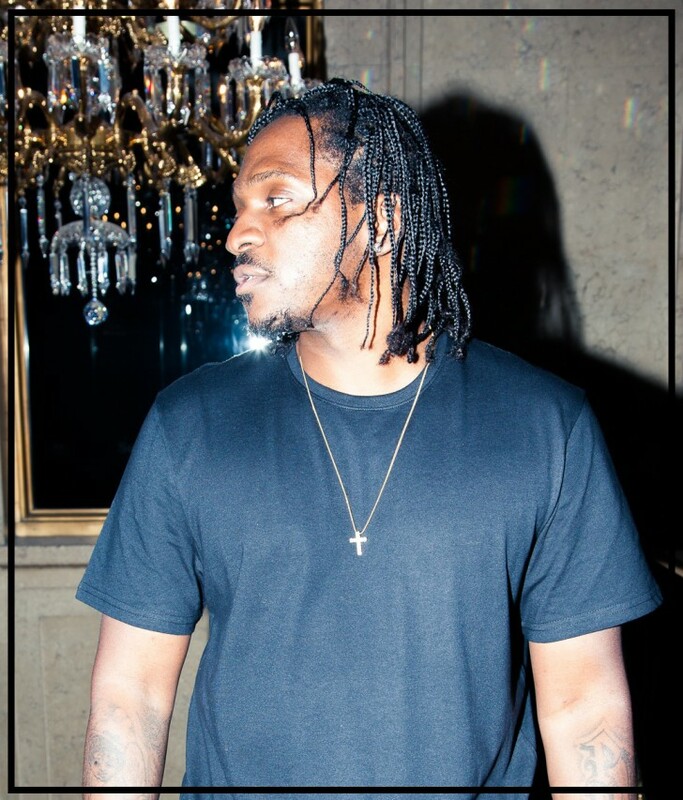 With his swagged-out tees and trademark braids spilling out from under some kind of backwards headgear, we figured Pusha (shockingly not his birth name–that would be Terrence Thornton) would have some interesting fashion tales to share—and we weren’t mistaken. 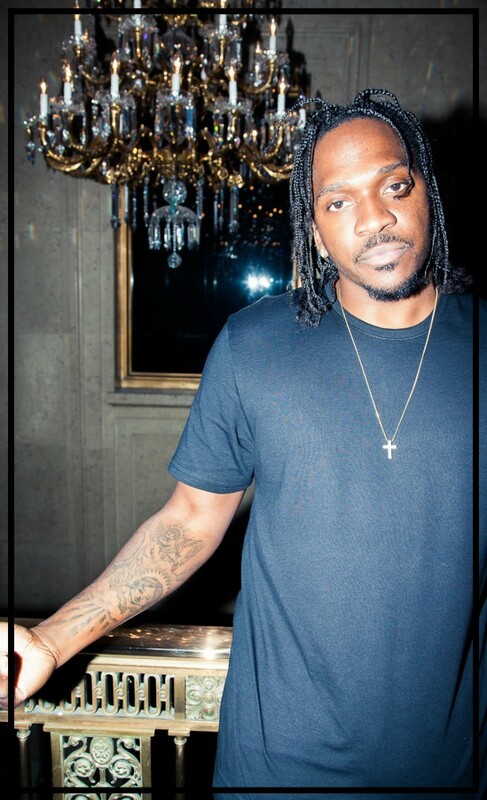 We caught up with King Push while on tour with 2 Chainz to talk hairspiration, advice from Kanye, and appropriate occasions for stuntin’ (hint: when the mannequin is wearing Versace). "Like once a week. I've been getting my hair done by the same girl for the past ten plus years. Yeah, her name is Jean-Michelle Colman. People always ask me about my hair and I like to tell them it's a real Virginia thing. Like you know, she used to do Allen Iverson's hair, and Allen Iverson is one of my all time favorite people in the world. His impact on basketball and that whole look; I think everybody in my area adopted that whole attitude." 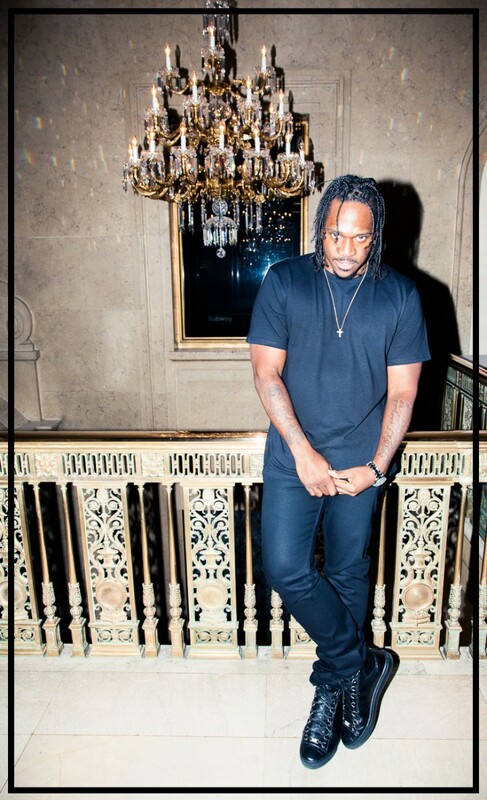 "My everyday get-up is definitely black Balenciagas, black Acne Jeans, and a black t-shirt." "You know what, Uniqlo actually. And that's coming from a person who has like every Balmain tee, all types. Uniqlo, you can't go wrong." "When I was in high school it was strictly about Ralph Lauren. It was like a 'dope-boy' aesthetic; that was how you would tell who was who. If you had the polo chino jacket, everyone would know that you spent like $195 on it. Or if you had the snow beach sweater, everyone knew you spent $350 on it. So it was a status thing." "I got into music first and foremost because my brother was a local rapper. This was like in junior high school. So what happened, was as he was trying to hone his craft, he was working with Timbaland—they were high school peers. I ended up meeting Pharrell Williams and we became really good friends. I wasn't writing or anything at the moment. Pharrell found out that that was my brother, and was like, 'Wait a minute, that's your brother? He's like one of the greatest out here. You got to get him to come by the studio.’ So I told him about this for a while and eventually my brother came over to Pharrell and Chad [Hugo]'s studio, which was at Chad's house at the time. Pharrell and Chad are The Neptunes for those who don't know. So they all started recording together. Then one day I was like, 'Man, I'm gonna write me a rap.' And I did and Pharrell was like, 'you guys should be a group. It's going to be called Full Eclipse, and that's what it is.' So we shortened it to Clipse. I probably had my first record deal in '98, and mind you I only started rapping in '96." "The best thing I feel like he's taught me, is that the song is never, ever done. It can always be better. When I first got over there I used to sort of complain because it would take so long to get the song finished. And when I thought the song was finished, he would think the verse needed to be rewritten, or that like something was wrong with the beat. I have something called 'demo-litis', when you make something and that's the only way you can hear it. So he sort of broke me out of that. He's pretty much right. You know, the song really is never done, and it does always get better the longer you work on it." "Dead or alive, I wish I could have done a record with B.I.G. That's it. 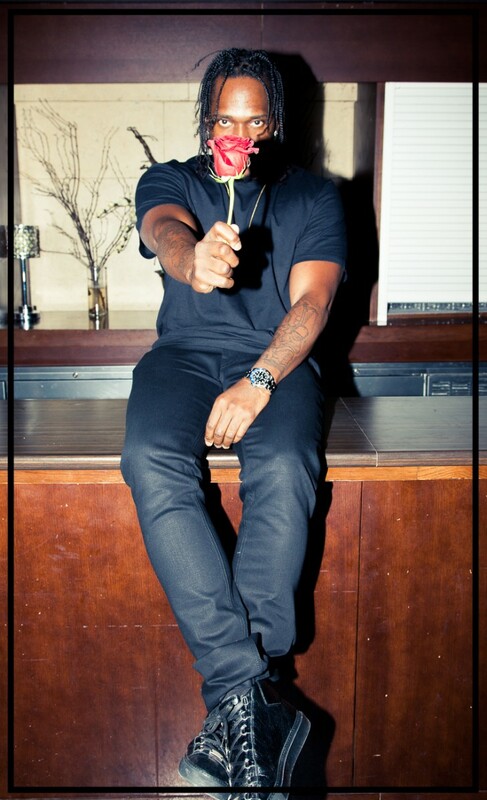 There's nobody else that has had a bigger impact musically or culturally on my whole rap career and just being." "You'd be surprised to find, A Great Big World's Say Something record—I just think it's written really well - and you'd also be surprised to find my R&B catalogue, which is a lot of Teddy Riley and Guy; I just listened to Groove Me the other day." "I have that as well. You know I heard someone say the other day that the best hip-hop song right now is Beyonce's Drunk in Love, and when I thought about it, I was like, they might be right. It's really good." 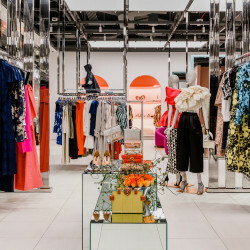 "The first designer purchase I made was definitely Versace. It was like some Versace pants or button down. When I was younger, I hung with older guys, and these guys were really fast and really in the streets and stuff, and they used to teach me at the time that it was all about being fresh and sort of stuntin'. And the stunt was you go into the store and you buy the whole mannequin. 'I want the whole mannequin,' that's what you'd tell them. So that's what I did."